Over the years we've discovered there are just shy of a bazillion wine of the month clubs serving the UK. Okay, well maybe not that many! 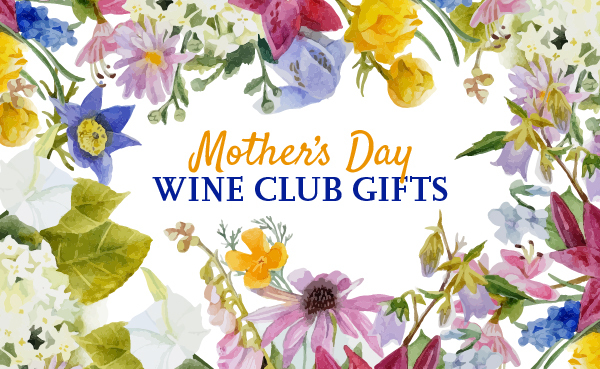 The wine club market in the UK seems focused on personal wine buying (subscriptions and plans) rather than gift-giving, which means if you're buying for yourself the competitive marketplace keeps prices down on your wine! Do you recommend these wine clubs? These are summaries discussing the high-level pros and cons of joining or giving each of these wine clubs. Our judgements are based on the companies' marketing materials and their websites, other editorial and reviews around the web, and our many years of experience reviewing wine clubs. In some cases we recommend giving clubs a try, in others we suggest alternatives we think are better. Why haven't you reviewed these wine clubs? We're located in the US and we've been reviewing wine clubs from this side of the pond for eight years. Our process involves getting shipments of the wine, but since we are unable to receive shipments of wine for UK clubs, we can't properly review the UK wine clubs. To help you out, we’ve gone ahead provided a short, professional opinion about these wine clubs in lieu of a review. Laithwaites is a HUGE wine club. Their service is available in the UK (where they started), the US, and Australia. Their unsurpassed volume means being a Laithwaites customer gets you unbeatably low prices on wine. While price is not necessarily the most important factor in picking a wine club, they also have many customizations you can make to your account and wine deliveries. The Wine Plans The best rewards are reserved for the most loyal customers, starting with the introductory offer for new wine plan subscriptions. Your first case (12 bottles) is discounted 60% and has free delivery — Pay just £47.88 (£3.99 a bottle) and get free delivery — you'll save £64. The plans are called "The Seasons" and you can choose between red wine, white wine, or a mix of both. They also offer free tasting cards and a 100% money back guarantee. Choose your delivery date, get free stemless wine glasses with your first shipment, and enjoy 10% off any future case purchases from Laithwaites. They sort of make this information hard to find on their site, but your future cases will cost: £94.99 (plus p&p, £7.99) and will arrive every 12 weeks. See for yourself. Wine Gifts Laithwaites UK also offers a huge selection of wine cases and wine gifts. They have a gift for any budget and they've conveniently outlined their Top 10 Gifts to make your gift shopping even easier. With all of the focus on what we eat, especially the big push for us to eat organically grown fruits and vegetables (and even beef), there's very little attention on organic wines. The reasons are complicated and include issues like an expensive certification process and how even if a winery does everything right, if the wind blows the wrong way, their grapes may pick up pesticides and will fail certification! There also isn't enough demand to sustain the costs to overcome those issues, for most wineries, they don't bother. Ironically, most small wineries are already organic wine. That said, The Organic Wine Club of the UK offers a terrific wine club program for anyone seeking out enjoyable organic wines (selected by their WSET diploma-holder and their members). You get two bottles each month for £35.00 and get free delivery with coupon code DISCOVERORGANIC. You can pick red wine, white wine, or mixed. They also offer specialty cases of Vegan and Natural (no sulphites added) wines. You can upgrade to the "Strictly No Added Sulphites Wine Club" and get six bottles each month for £75.62 or the "New to Natural Wine Club" and get six bottles each month for £84.66.